100 Mile House, previously known as Bridge Creek House, is located in the South Cariboo Region of British Columbia, nestled on the Fraser Plateau between the Coastal and Rocky Mountain ranges. 100 Mile House is the primary service centre for the South Cariboo Region, and is the largest residential centre between Willams Lake and Prince George. Despite being a small town, it is friendly and welcoming, and offers many of the amenities of a large city. In 100 Mile House, visitors and residents may discover historic and heritage sites of the 1850s that are reminders of the “Gold Rush Days”. It is also home to many talented local artists, whose work can be viewed in private art galleries, or at the community’s public gallery in town. Outdoor activities include cross-country skiing, snowboarding, and snowmobiling in the winter when snow blankets the countryside. Fishing, swimming, canoeing, hiking, and boating are also popular activities to do in spring and summer. You can also travel north to the Mt. 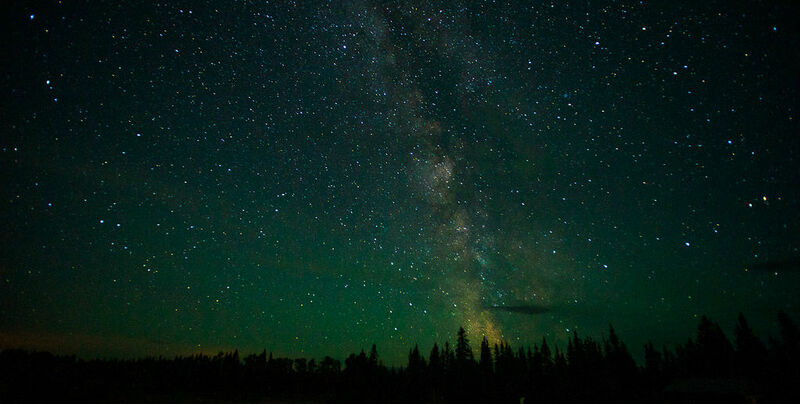 Begbie Forestry Lookout at night time to catch the sky filled with starry northern lights. 92.3 kilometres southwest of Williams Lake, British Columbia.